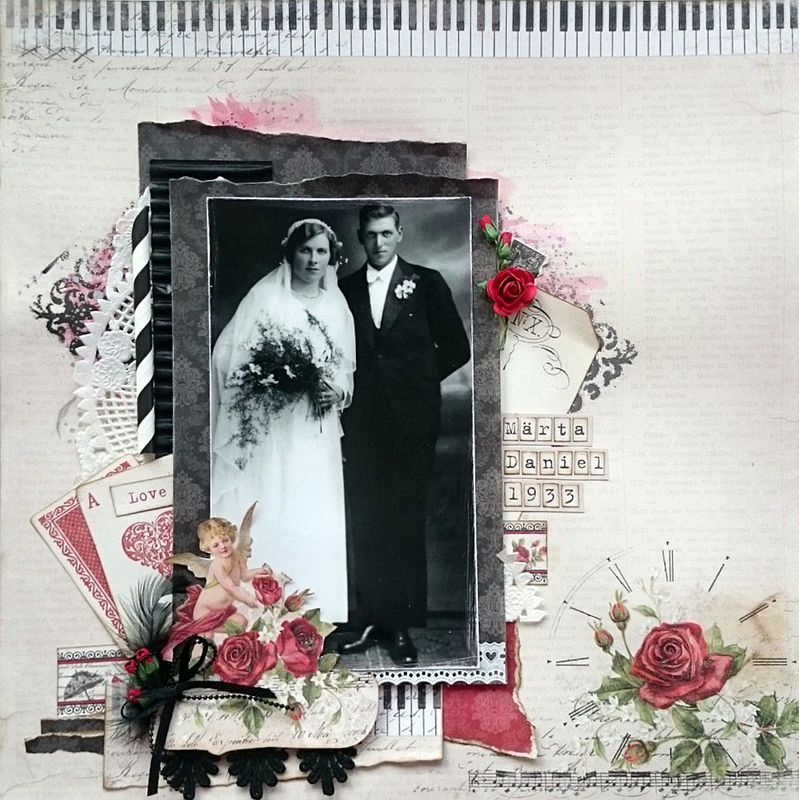 For this project I used Pions collection ‘To my valentine’ to create a layout with my grandparents weddingphoto. Its’s my maternal grandparents and they where married in 1933. I think that the red and black are so lovely together with the black and white photo. I haven’t showed this for my mother yet, I hope she will like it as much as me!